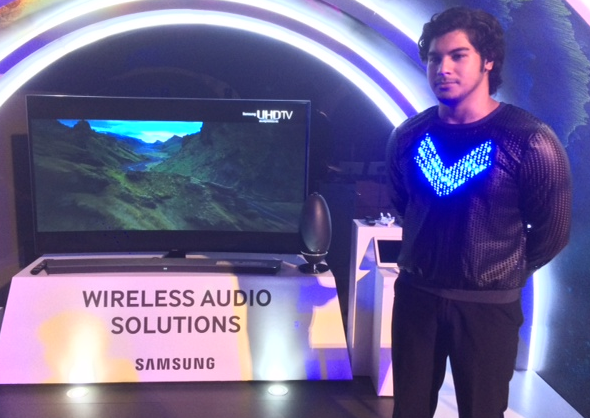 Samsung is reinforcing its TV and innovation leadership through its new SUHD TVs with new audio solutions. 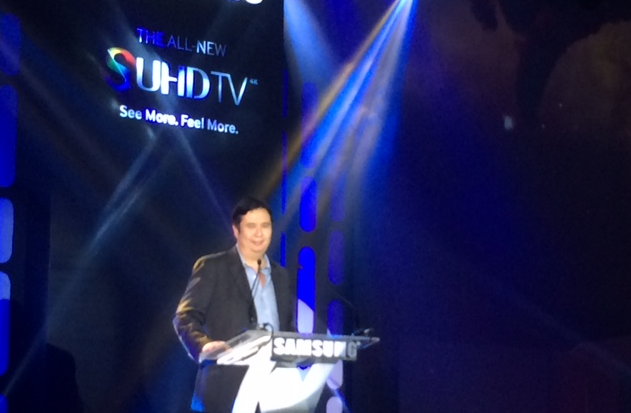 Samsung Philippines marketing head Chad Sotelo opens the 'Cosmic' themed event to launch Samsung's all new SUHD TV. Hard-working entrepreneurs would have another reason to come home earlier even after a long day. Their television-viewing experience is now made even more enjoyable through the new standard in premium UHD (Ultra High Definition). 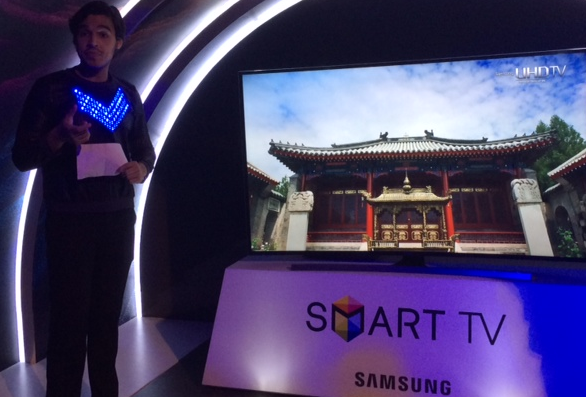 Samsung Electronics Co. Ltd recently unveiled its new and extensive range of SUHD TVs during its 2015 TV Roadshow held at the SMX Convention Center in SM Aura, Taguig City. During the ‘Cosmic’ themed event, the giant electronics maker showcased enhanced features of the SUHD TV line, all designed to excite the senses through sensational picture quality, seamless interaction, and stylish design. The new SUHD TV comes with superior nano-crystal technology to bring 64 times more color expression than conventional TV and more effectively analyze brightness of images to lessen power consumption while generating better contrast levels and elevated grade of brightness. The line is even equipped with an environment-friendly technology to bring about best-in-class energy efficiency and reliability. Three new series of SUHD TVs will be available in the local market: JS9500, JS9000, and JS800. Those come in sizes ranging from 55 to 88 inches, giving entrepreneurs the flexibility in options when buying their ideal TV that fits their preferences and style. More interestingly, Samsung has introduced several features that have been tailored to match unique lifestyle of local consumers. Through its Samsung Seasons, users can handpick popular international TV shows and watch first three season episodes for free. They can also rent an entire season of a show for 30 days right on their smart TV, or even on their Samsung smartphone or tablet. 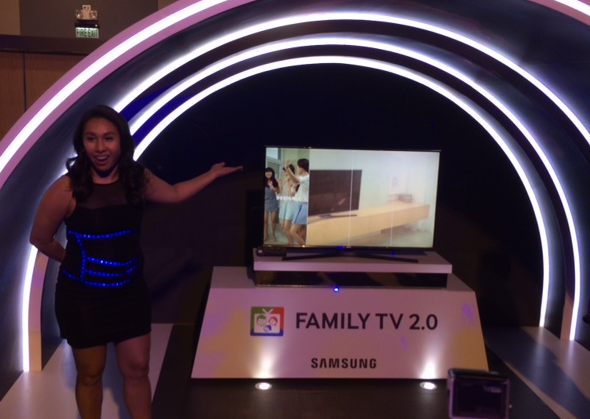 Family TV 2.0 further enhances overall viewing experience through allowing users to save and send photos and even sound bites from their selected TV moments. Samsung Smart TV has Sports mode that makes watching basketball and boxing matches more exciting. Users can playback top moments from a game if they want to highlight and relive the action. The WAM 7500/6500 speakers comes with the proprietary ring radio technology to allow sound to flow more smoothly in 360 radius for better audio experience. This sets it apart from conventional speakers that project sound in just a single direction. 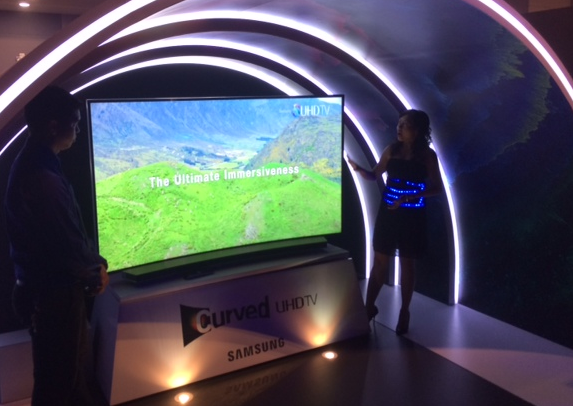 Curved TVs are made even better with the Curved Soundbar, with sleek and clean design. It facilitates a more premium audio solution.